If two’s a coincidence and three makes a trend, what do you call it when you spot a pattern four, five, or six times in a row? A craze? A movement? When this instance happens to be a very specific silhouette—a bateau neckline—on a singular high-profile person—Meghan Markle—perhaps it’s something completely different altogether. Which is where we called in some backup, specifically in the form of professional advice from fashion psychologist Carolyn Mair, Ph.D., founder of Psychology for Fashion and author of The Psychology of Fashion. For starters, let’s break down just how prevalent the boatneck trend has become on the newest member of the British royal family. 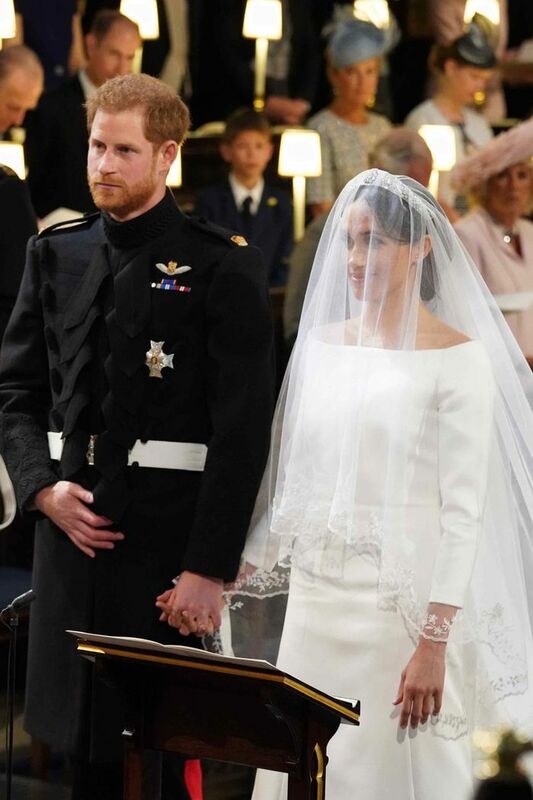 At her wedding to Prince Harry in May, Markle chose that now-historic wide-neckline custom gown by Givenchy’s Clare Waight Keller. Less than a month later, the Duchess choose a strikingly similar silhouette (and color… and designer) for her first official royal engagement, followed by yet another riff on the neutral bateau silhouette (this time from Prada) in late June. Then in a trifecta of appearances on July 5, July 9, and July 10, Markle wore three different takes on the same exactly silhouette from the likes of Brandon Maxwell, Ralph Lauren, and Dior, respectively. As fashion’s oftentimes voice of reason put it, a clavicle-revealing neckline isn’t just a Markle preference, it’s her superpower. “I would imagine it’s either her intention or perhaps she has stylists who have said to her, ‘let’s create a silhouette that’s identifying you for now as you’re establishing yourself as this attractive royal figure,’” Mair says. Like Kate Middleton and Princess Charlotte, Markle’s fashion choices aren’t just becoming a fixture of fashion history, but they’re changing how we shop too. As Pinterest reports, searches for bateau necklines have already increased over 104%. Available in size FR 34. Now take a closer look at Meghan Markle’s style before and after royalty.